The doctor asked the elderly Dutch woman’s family members to hold her down while the fatal dose was administered. The woman was suffering from dementia and had previously affirmed that she wanted to be euthanized “at the right time,” but the determination of the “right time” for her to die was apparently made without her consultation. After being placed in a nursing home, she exhibited signs of fear and anger and wandered the building at night. The senior doctor at the nursing home judged that the woman was no longer capable of giving her consent to euthanasia, but that the circumstances nevertheless warranted action. The doctor put a soporific in the woman’s coffee to calm her and prepared the lethal injection. The woman, who reportedly stated several times in the days leading up to her death that she did not want to die, woke up and struggled when the doctor tried to administer the lethal injection. Family members had to hold her down so that the doctor could complete the task. The Netherlands became the first country in the world to decriminalize euthanasia and physician-assisted suicide (PAS) in 2002. Since legalization, the death toll from these practices has gradually increased year by year. In 2015, 5,516 people died in the Netherlands as a result of euthanasia and PAS, accounting for almost four percent of total deaths in the country of just under 17 million people. And just last October, the Dutch health minister defended a proposal to expand eligibility for euthanasia and PAS under the law to include individuals who feel that their life is completed, regardless of whether they have an existing medical condition. Last year, a young Dutch woman was euthanized after several doctors and psychiatrists declared her mental health condition “insufferable.” The woman had been sexually abused in her youth and suffered from post-traumatic stress disorder. This latest incident in the Netherlands tears back the veil that has obscured the logic of the movement to legalize PAS and euthanasia. The Dutch doctor administered a lethal dose to a woman without that woman’s consent and, as evidenced by her struggle, against her will to continue living. But because the doctor was judged to have acted “in good faith,” she will not be faulted for proceeding with the euthanasia. When efforts are made to legalize euthanasia and PAS (as has happened recently in Canada and in several jurisdictions in the United States), respect for patient autonomy is touted as a primary argument. Advocates of legalization argue that suffering is bad, and that people who are suffering should be able to choose how to end their own lives. What happens when people are no longer able to effectively exercise their right to choose? The killing of this elderly Dutch woman provides an answer. By the logic undergirding legalized euthanasia and PAS, if a doctor can ethically end the life of a patient who asks him to do so, he must also be able to ethically end the life of a patient who is not able to do so but who, in the doctor’s best judgment, is suffering unbearably or living a life unworthy of life. When these practices are first legalized, concerns about their effects on the medical profession and a society’s understanding of the value of every human life are dismissed as unwarranted scare tactics. 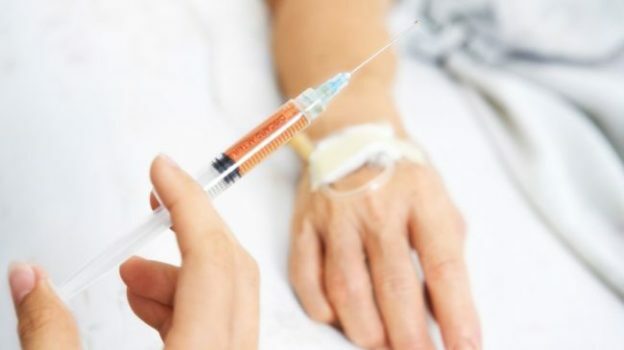 The examples of countries that have experimented with legal euthanasia and PAS the longest, such as the Netherlands, give the lie to such casual dismissals. When a government condones the intentional killing of some by legalizing euthanasia and PAS, it teaches that human life is not inherently valuable and worth protecting. Once that truth is lodged in a nation’s law and culture, the most vulnerable—the unborn, the elderly, the ill, the disabled, and the poor—have great reason to fear. As the latest incident in the Netherlands illustrates, even our most sacred relationships—those with our family and with our doctors—may become strained by the culture of death.